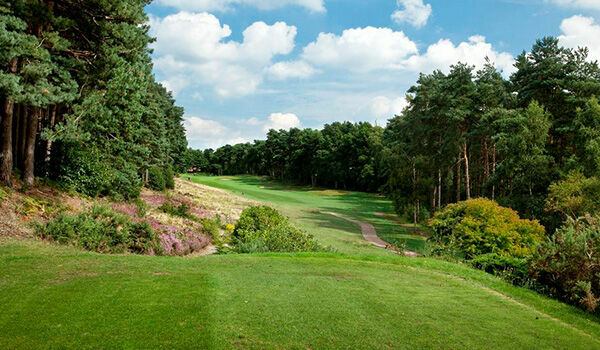 With a long heather carry and bunkers on the right, this tee shot requires a slight draw. The better player will be tempted to go for the green in two but needs to be aware of the well guarded left-hand side of the green. Cleverly positioned and half hidden greenside bunkers along with fairway humps on the right make the entrance to the green very narrow.